David Pederson, '80, was named the 2019 Distinguished Alumnus for Outstanding Service to the North Platte Community by the North Platte Public Schools Foundation. 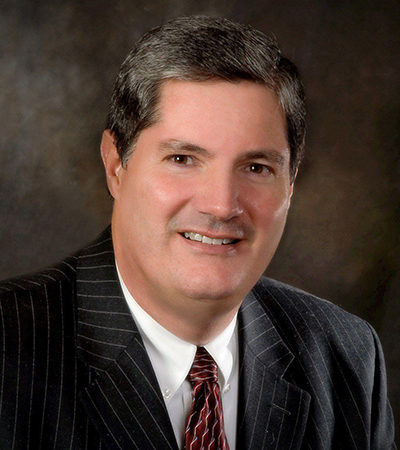 Pederson earned his Juris Doctor degree in 1980 and was sworn in to practice before the Nebraska Supreme Court, U.S. District Court and the U.S. Court of Appeals for the 8th Circuit that year. He has spent 38 years in private practice in North Platte. While earning many accolades in his professional career, he also gives back at to the North Platte community. He was the president of the North Platte Public Schools Board of Education from 1993 to 1997, a founding member of the North Platte Public Schools Foundation as well as the Great Plains Health Care Foundation, chair of the Great Plains Health Board of Directors and the 2011 Nebraska Hospital Association Hospital Trustee of the Year. He is actively involved on his church council, Noon Rotary Club, Heartland Singers and the North Platte Community Playhouse. According to the Foundation's press release, "Pederson truly believes that working to make North Platte a great community is as important as working in the community. He leads by example and has proven that it is possible to build a successful career while taking time to prioritize family and community. Pederson and his wife, Judy, are valuable assets to the North Platte community."